If you’re heading out on the road, whether it’s a 12-hour road trip or just a quick trip to the nearest 7/11, your car should be safe. After all, when you’re behind the wheel, you’re guiding a couple tons of steel over the asphalt at 55 miles per hour. Things can go wrong. That’s why it’s so important to choose a vehicle that’s packed with safety features. When so much is at stake, it’s crucial that little goes wrong. So, how do you stay proactive when it comes to the safety of your vehicle? What can you do to make your auto ASAP (as safe as possible) for the road? 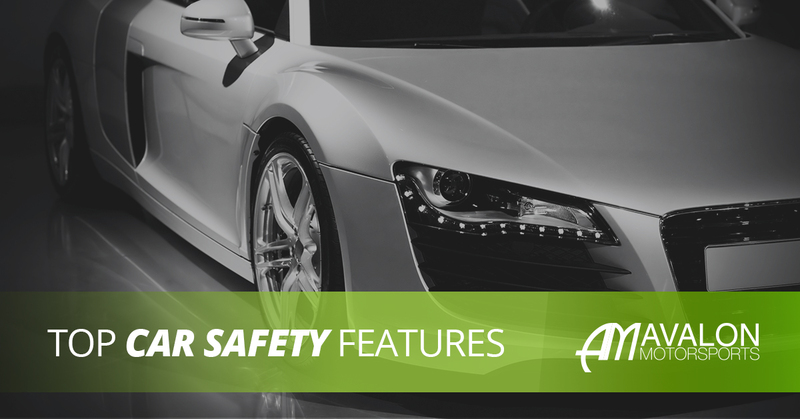 If you’re shopping for a safety-focused vehicle, we have a list of features you can look for to keep yourself and your passengers protected. The conditions on roads are constantly changing — especially here in Colorado. You can leave the house with clear skies, and see fog, rain, sleet, and snow by the time you reach your destination. With all of those conditions, it can be difficult to see the car in front of you, especially if your lights only have two settings: on and more on. Smart headlights are designed to assess current driving conditions; they adapt to the environment, and provide the best lighting settings for that environment — automatically. So, who’s producing smart headlights? 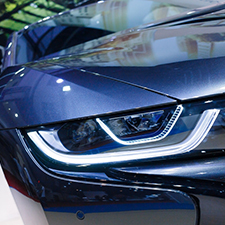 German autos are taking the cake when it comes to smart headlights. Audi’s producing Adaptive Xenon Plus headlights, and BMW’s Adaptive Headlights feature a glare-free “High Beam Assistant” which specifically addresses environmental issues with high beam usage. Porsche also introduced their Dynamic Light System which comes standard on most models. VW is also making a move to ensure that their drivers can see well, even in the poorest conditions. As Cartelligent points out, “Volkswagen’s adaptive headlights are offered on the Golf, Golf Sportwagen, GTI, Jetta, Touareg, Tiguan, Eos and CC.” Odds are, if you’ve got a German-manufactured vehicle that has been made in the last couple of years, you’ve probably got a car with “smart” headlights. Wouldn’t it be helpful to hear a modest beep instead of the sound of metal scraping metal at 50 miles per hour? Well, I think the answer is yes — as do many vehicle manufacturers. More and more cars come equipped with systems that aid in collision prevention. Some vehicles simply sound a warning, while others have complex features which override driving controls in particularly dangerous situations. Take Audi’s pre sense autonomous emergency braking system — yes, that’s what it’s called. This system utilizes camera and radar sensors to analyze dangerous scenarios. When your pre sense autonomous emergency braking system-outfitted vehicle approaches another vehicle or object, it projects an audible warning. If the driver doesn’t respond (or responds too late), the vehicle begins braking on his or her behalf. The pre sense autonomous emergency braking system can bring a vehicle to a full stop, if need be. Some Audi models are also equipped with a “pre sense rear” system. In a similar fashion to front-end analysis, the vehicle analyzes the environment behind the car. If a vehicle appears as though it is going to rear end the pre sense rear-equipped vehicle, the Audi will react by moving the seats forward, closing the windows and sunroof as necessary, and by preparing the seatbelts of the vehicle. Essentially, this feature helps unsuspecting rear end collision victims to avoid harm by bracing for impact. Now, that’s just what Audi has to offer in the ways of collision prevention. Makers like BMW and VW have their own collision warning and prevention systems. Stability assist can be a lifesaver here in Colorado… literally. Between iced over highways and muddy mountain roads, it appears that you can lose traction on any road in the Centennial State. Stability assist mitigates that traction loss. Manufacturers are building new car models that assist drivers in correcting their vehicle. That’s great news for most drivers, since we tend to overcorrect or panic when that back end breaks loose. So, how does stability assist work? Well, stability assist detects skidding and loss of traction. When you skid, stability assist takes over the braking system, and it applies brakes to individual or multiple tires, depending on the type of skid. These corrective measures help to slow and control the vehicle, which might mean accident avoidance. Actually, the National Highway Traffic Administration tells us that this tech could prevent about a third of the fatal accidents that occur on American roads. I hate to admit it, but I’ve let my vehicle drift off the road on a long, late-night road trip. Thankfully, a vigilant driver was right behind me to provide his own version of a “lane assist warning” — he laid on the horn as my tires poured over the pavement onto gravel. Lesson learned. Nowadays, you don’t have to rely on the kindness of strangers to keep your car in your lane, even in the face of distracted driving or tiredness. Lane assist systems are pretty straightforward. When you approach a lane line (and you aren’t signalling a lane change), your vehicle will let you know. Most systems simply warn you when you’re switching lanes and that lane switch appears unintentional. Depending on the make and model of your vehicle, you might find that it features a lane assist system that warns you of accidental drifting via noise, vibration in the wheel, or vibration in the seat. Regardless of the system, the message is simple: You’re drifting into the wrong lane. If you thought cruise control was a breakthrough in vehicle tech, then autonomous cruise control is the best thing since that metaphorical sliced bread. Now, think about normal cruise control. On a road trip across the country, you’ll adjust the speed of your vehicle, brake when traffic begins to jam, and disengage cruise when traffic simply isn’t consistent. Autonomous cruise control takes all that extra work out of cruising. Autonomous cruise control works like this: Your vehicle automatically senses traffic in front of your vehicle. The idea is that it can analyze the distance between your vehicle and the next vehicle in the lane, as well as the speed and acceleration or deceleration of that vehicle — with that information, your vehicle will adjust it’s cruising speed to match the vehicle in front of it. So, essentially, your vehicle mimics the vehicle it is following. That means no more tiny adjustments to match another driver and no more braking and resetting the cruise. It means more control with less effort. Expect autonomous cruise control to become the norm in the future. It’s a small step towards driverless vehicles, yet it’s not a giant step for mankind — you’ll still have to sit behind the wheel after all… sorry. Well, we hope you do your utmost to stay safe out there on Colorado’s trying roads. As always, when you do have an accident, or when you need car maintenance, we’re here to assist you. Count on Avalon Motorsports for all of your vehicle repair needs if you’re here in the Denver area. Schedule service for your vehicle today!